ACRM and the American Stroke Association share a dedication to advancing post-acute care, advocacy, and scientific efforts for survivors of stroke and their families. This award recognizes a clinician or researcher (individual or group) (e.g., a care team, a research team, a clinical group) who has advanced the field through their scientific and/or clinical efforts in the area of post-acute stroke. The Awards Committee and organizations are especially interested in nominees whose work has directly affected clinical care and/or who have successfully translated research or pre-clinical models to successful clinical application. Nominee(s) are NOT required to be a current ACRM member or a member of any American Stroke Association network or endeavor. Nominee(s) must be actively engaged in ongoing research, service, and/or care in clinical stroke (i.e., patient-based). Eligible nominees have made significant contributions in one or more areas of clinical care through scientific and/or patient care efforts. 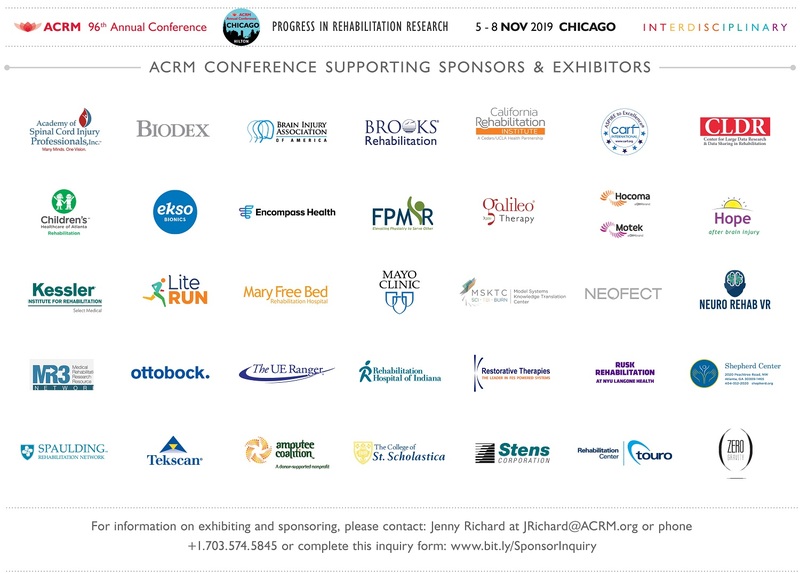 The award recipient will make a presentation of their work during the ACRM Annual Conference. The presentation topic is of the award recipient’s choice, but should be related to the work for which the awardee is being recognized. John Chae, MD, presented the award lecture, Peripheral Nerve Stimulation for Hemiplegic Shoulder Pain on 29 October 2015 at the ACRM 92nd Annual Conference.